You'll want several of these handy. Perfect match for any of our cheese boards or platters. 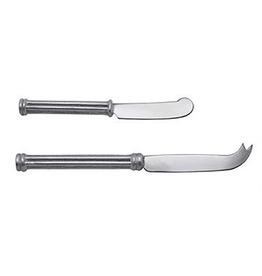 Price is per spreader. The little piggy on our Pig Spreader is cute as a button and adds a touch of whimsy to dips and spreads. Item is retired with limited availability. 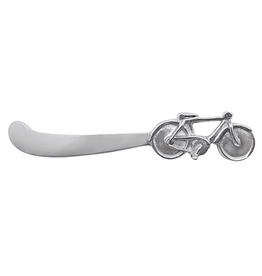 Take a ride with the handcrafted Bicycle Spreader. 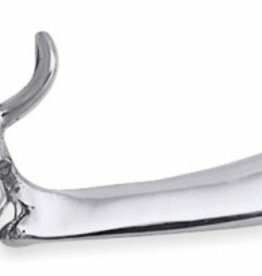 Makes a playful addition to any cocktail-hour spread. 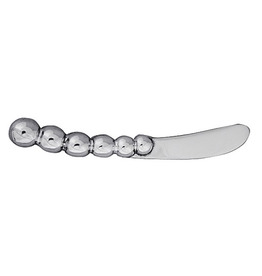 Indulge in gourmet spreads or cheeses with the style and luxury of the Pearled Spreader. 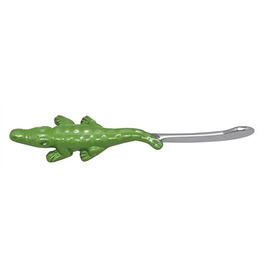 Spread some smiles as you spread your favorite condiments with this charming Green Alligator Spreader. 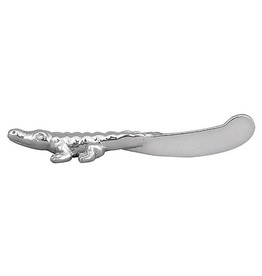 The Martello spreader made of 18/10 stainless steel in Lumezzane, Italy, is forged by Italian artisans that add hammered detail to the flatware piece. A great addition to your Martellato pieces. You'll want to have several of these around. Hammered 18/10 stainless steel. 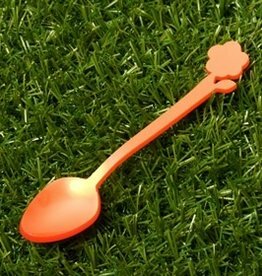 Cocktail spoons, spreaders, hostess sets and 5 piece placesettings available.